Ring of Scale is EverQuest's 24th Expansion! Level Increase - Take your character to Level 110! The entry zone to Ring of Scale is The Overthere. 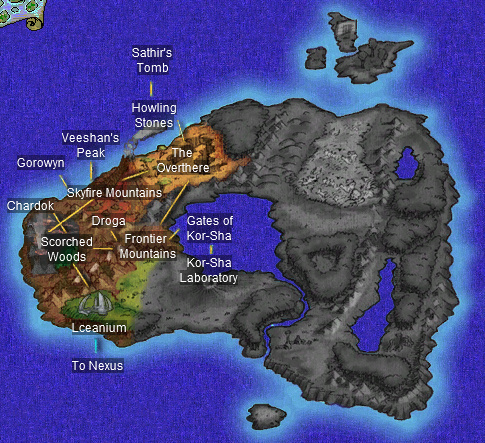 You can get here by using the Guild Hall portal, or through Frontier Mountains (Empires of Kunark version). Group and Raid gear continue to use the Type 5 aug slot for pure Heroic stats, as they did in TBM and EoK. All RoS zones are open and unlocked at launch except for Veeshan's Peak. To enter Veeshan's Peak you must complete the Scaled Key Quest, this requires some progression, otherwise progression allows you to request raid events and continue on quest/mission progression. If you do complete progression, including all quests and missions, you will receive a Scaled Stonegazer Saddle! Have fun in Ring of Scale! This expansion has some beautiful artwork.